I'm going to New Orleans this weekend to relax on our balcony, grab a bag or two or three of Zapp's [salt and vinegar, please] from Royal St Grocery [they're CLOSED! ], mix a few stiff drinks to help wash 'em down, and visit our friends. 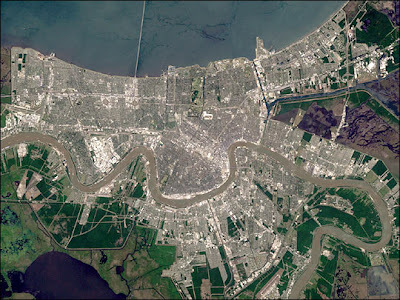 While down there, any interest in taking a day or two and volunteering to rebuild New Orleans? If so, let me know, I have a group that I worked with last year. Man, I was thinking about Zapp's chips the other day. I went to Shreveport/Bossier for vacation, but that's not the same is it.. Oh well, I'll get to New Orleans next summer. You can order them online. I bought a bag of the salt and vinegar flavored chips at the A&P on Royal St. They didn't last long. I wasn't there long enough to do any volunteering. I did make an economic contribution during my visit, though, which goes a long way, too.